Fundatia de Sprijin Comunitar is a private, accredited training provider since 2009 and has organized numerous training sessions for initiation, perfecting or qualification (level I and level II). We have qualified over 2000 people in various fields, such as: home care, social work, combined arts work, project management, entrepreneurship, etc. Please see the list of accredited courses. 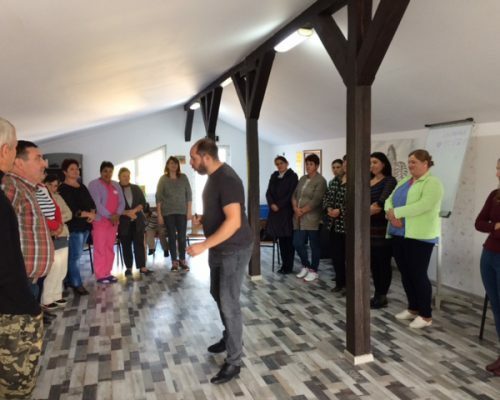 In addition, Fundatia de Sprijin Comunitar, is certified by the National College of Social Workers in Romania and can organize annual training, workshops and seminars dedicated for the specialists in the field of social work.